The Giants beat everybody, from perennial contenders to young superstars and feel-good stories. 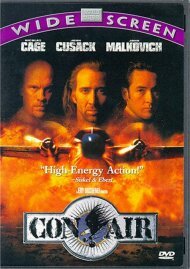 They were great in the beginning, rough in the middle, and then they closed in a fury. They overcame injuries. They added experience and gamers. They became the first team ever to win four rounds of Postseason play. And now they stand alone as World Series champions for the third time in five seasons. General manager Brian Sabean filled a clubhouse with players whose character exceeded their amazing talent. But talented they were, riding Mad Bum to the championship while Pablo Sandoval and Hunter Pence hit everything in sight. 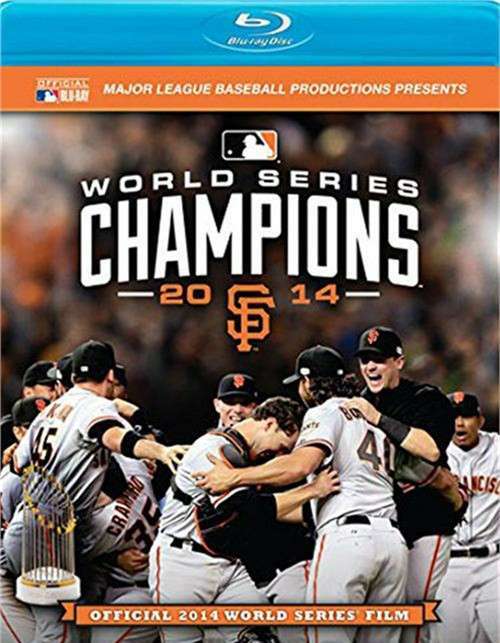 Along with big moments from Manager Bruce Bochy's cast of Travis Ishikawa, Michael Morse, Ryan Vogelsong, Brandon Belt, Brandon Crawford, and Joe Panik, the San Francisco Giants became champs by topping the Kansas City Royals, 3-2, in Game 7. 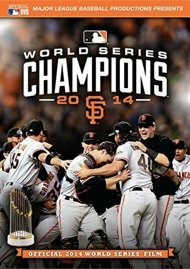 This office DVD from Major League Baseball Productions provides comprehensive highlights, exclusive access and interviews, and breathtaking footage capturing the thrilling story of the San Francisco Giants 2014 World Series championship. 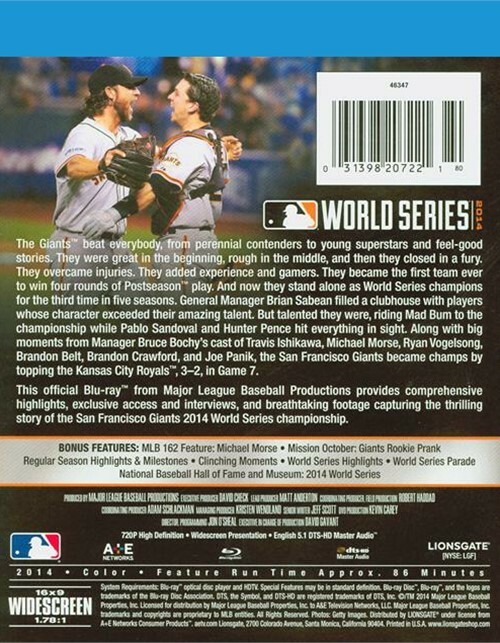 Review "2014 World Series Film"
Reviews for "2014 World Series Film"